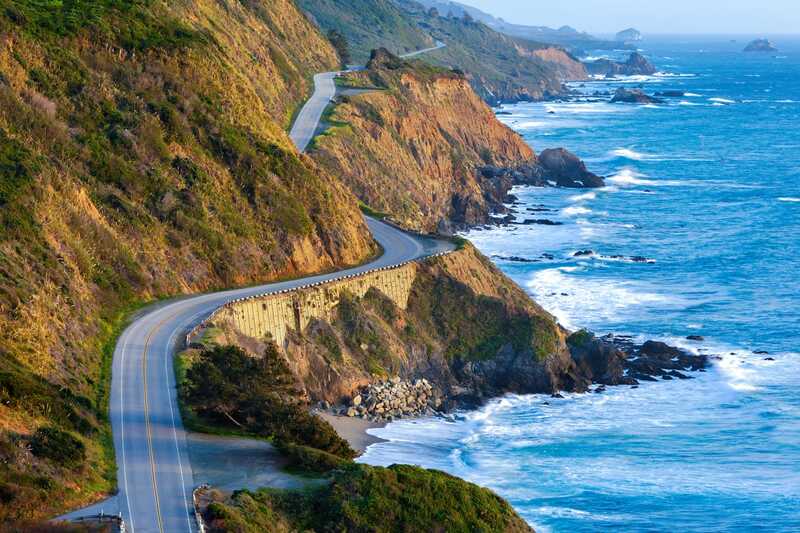 Welcome to Big Sur, the most beautiful 90-mile stretch of coast in the world. The breathtaking wilderness and amazing views make for the perfect place to hike, backpack, camp, and so more! It’s and outdoor enthusiast paradise. 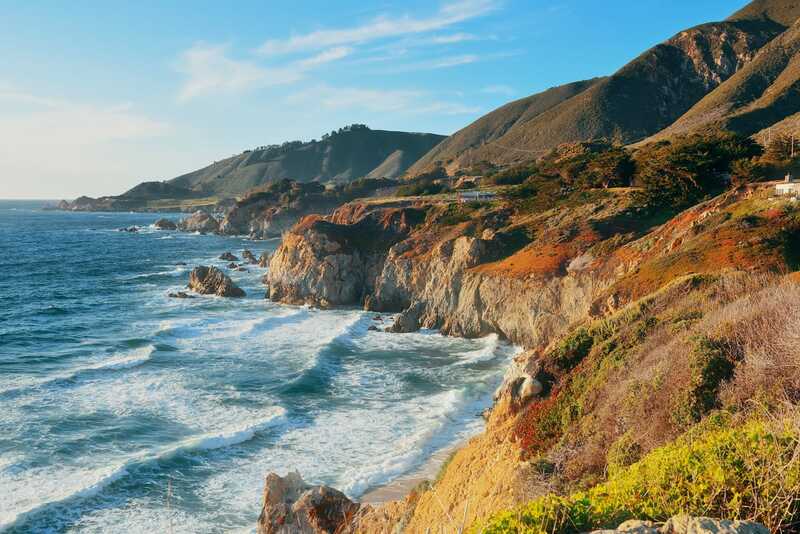 Whether this is your first camping trip or your hundredths, we want to make sure that you do Big Sur right, that is why we have written this comprehensive Big Sur camping guide for you. 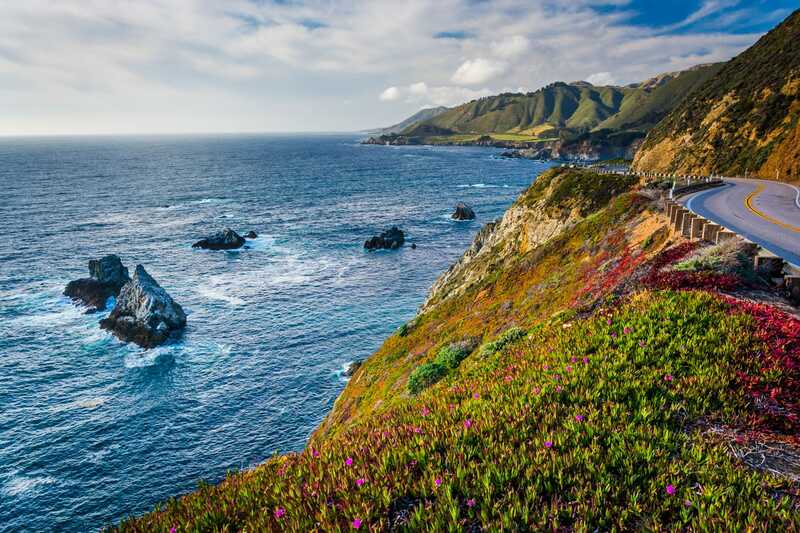 The high season stretches from April to October, but Big Sur is gorgeous all year-round, so no matter when you visit you’re always in for a treat. If the forecast is clear, then it’s the perfect time to visit and go camping in Big Sur. 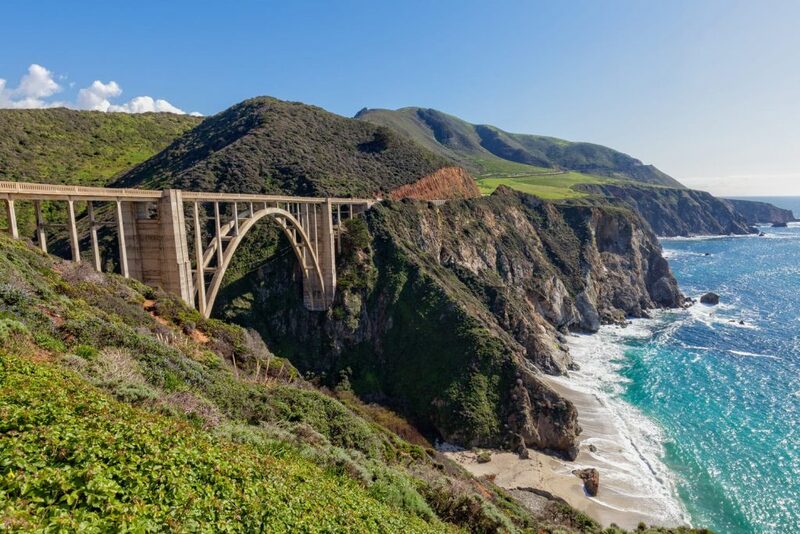 Just keep in mind that Big Sur is wildly popular on the weekends, so if you’re looking to avoid the crowds then it’s best to visit during the week. With so many camping options available, it can be quite difficult to figure out where to camp in Big Sur. But don’t worry, we have handpicked the best campsites in Big Sur for you. From luxury camping cabins to RV camping spots, here are the best places to camp in Big Sur. Want to save money on a campsite? Here’s the secret to free camping in Big Sur. Several national parks allow visitors to camp for free along the forest service roads, provided you follow basic guidelines. Before you head out, check out some available service roads based on where you want to go. Once you arrive all that’s left to do is pitch a tent. In Big Sur, Los Padres National Forest stretches through the entire region and has countless great spots where you can pitch a tent. The southern part of the forest has some of the best camping in Big Sur, but some of the roads we most recommend are Los Burros Road, Plaskett Ridge Road, and Nacimiento-Ferguson Road. If you’re visiting on the weekends or during busy season, it’s best to arrive in the early afternoon. You may have to drive a little while to find an open spot, but it will be worth it. Big Sur campgrounds are popular options when looking for the best place to camp in Big Sur, hence why many of them are booked almost six months in advance. 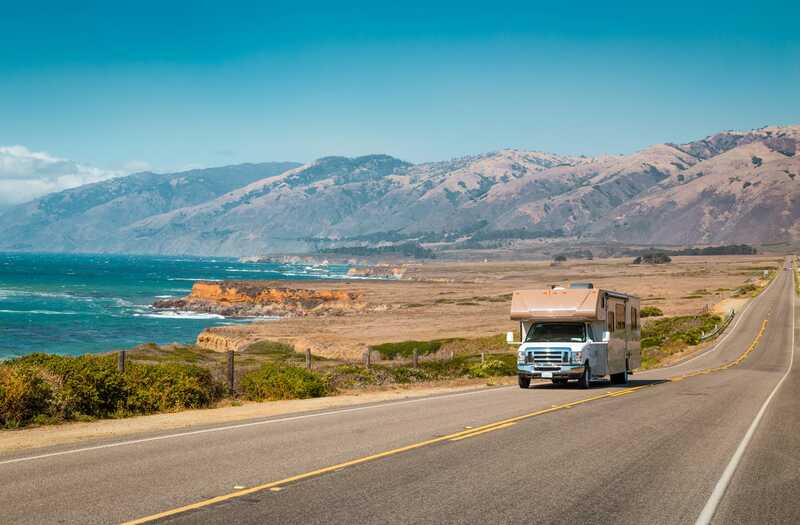 With some surrounded by gorgeous forest and others boasting stunning ocean views, here are some of the best tent & RV camping options you’ll find in Big Sur. Set in a beautiful meadow, Andrew Molera State Park offers 24 campsites available on a first-come first-serve basis for a maximum of four people per site. This area is relatively undeveloped, but has picnic tables, fire pits, food storage & garbage bins, and restrooms, so you won’t be completely roughing it. The hike-in campsite is about ⅓ mile from the parking area, and you’re sure to love everything the area has to offer. 189 RV and tent sites are available at Pfeiffer Big Sur State Park with a maximum of eight people per site. Trailers are allowed to be a maximum of 27 feet while motorhomes can be up to 32 feet. Offering standard and premium riverfront sites, this crazy popular campsite is often fully-booked. Reservations open six months in advance, so if you want to stay here then make sure to book early. Each campsite comes with parking, a fire pit, grill, and a picnic table, while showers, toilets, and a dump station are only a short walk away. If you’re looking to go camping with dogs in Big Sur, then Pfeiffer Big Sur State Park may be the perfect solution. When it comes to camping in Big Sur, it’s hard to beat Pfeiffer Big Sur State Park. Julia Pfeiffer Burns State Park is immensely popular for its ocean views and 80-foot waterfall, making its campsite a hot commodity. Equipped for a maximum of eight people each, two environmental campsites are available for your time in the park. Keep in mind, both areas are hike-in only and no vehicle access is available. A picnic table, fire ring, and pit toilets are the only thing provided by the campground, so make sure to bring water, wood, and something to pack out your trash. Visitors typically reserve these campsites six months in advance to experience the best of tent camping in Big Sur in Julia Pfeiffer Burns State Park. Beach camping in Big Sur is at its finest at Limekiln State Park. 33 campsites have their home here, with a number of them have stunning ocean views. If you’re not facing the ocean, then you’ll be surrounded by stunning redwood trees, either way you can’t lose. Like most other sites, camping reservations in Big Sur for Limekiln State Park open six months in advance and often sell out quickly. A perfect mix of ocean views, forest, and the interesting history of limekilns, it’s not hard to see why Limekiln State Park is such a popular camping destination. This oceanside paradise has 34 campsites that all overlook the Pacific Ocean. Beach access and scenic trails are nearby, securing Kirk Creek as one of the best places to camp in Big Sur. Bring a tent or RV, but bear in mind while there are vault toilets, no water, dump station, or hookups are on-site. When it comes to the best ocean view camping in Big Sur, look no further than Kirk Creek. Luxury camping in Big Sur is the perfect answer to enjoying the outdoors without having to rough it. Treebones Resort gives the ultimate experience of luxury camping in Big Sur. Take your pick of a yurt, a grand (and autonomous) tent, a human-size nest, or a twig hut. Walk-in campsites with ocean views are also available if you want to bring and pack in all your things. Resort amenities include complimentary buffet breakfast, pool, hot tub, showers, and restrooms. Two on-site restaurants, Wild Coast Restaurant and The Sushi Bar, offer amazingly tasty options for lunch and dinner. For a premier glamping experience, you can even book a massage. This intimate venue prioritizes a quiet and peaceful atmosphere so all guests can appreciate the best of Big Sur camping. You can truly have it your way at Fernwood Campground and Resort. At the resort, rest your head in a motel room, forest cabin, tent cabin, or adventure tent. For guests staying at the campground and doing tent or RV camping in Big Sur, many sites have water, electricity, a picnic table, and a fire ring, while also having access to two bath houses with showers, a laundry facility, and a dishwashing facility. Fernwood Resort Bar & Grill has a variety of delicious choices for lunch and dinner, and there’s also an espresso cafe on-site. Also home to a general store and camping supplies & gift shop, the convenience and luxury of Fernwood Campground and Resort make it one of the best places to camp in Big Sur. Carmel River Inn is a slice of paradise at the entrance of the Big Sur coast. 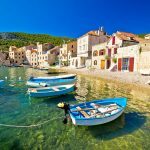 Choose from their country-style inn rooms or their unique cottages as the quiet surroundings are the perfect place to refresh for your next adventure. Whether you’re into outdoor activities or shopping and wine tasting, Carmel River Inn puts you in the perfect location to have the trip of a lifetime. Spectacular ocean views set the tone for a relaxing and luxurious stay at Tickle Pink Inn. Complimentary amenities are around every corner as guests enjoy a bottle of champagne on ice, an evening wine and cheese reception, movie rentals, breakfast, and much more. All rooms and suites offer striking ocean or cove views and a private furnished balcony. An elegant and exceptional stay awaits at Tickle Pink Inn. Post Ranch Inn is the premier Big Sur resort and retreat. The award-winning Sierra Mar offers a four-course, prix fixe dinner menu, a three-course, prix fixe lunch menu, and a complimentary breakfast buffet. Wine enthusiasts will love the extensive menu as their wine collection includes over 14,000 bottles and 2,600 selections. Along with free breakfast, other complimentary amenities are guided nature walks, stargazing, the use of Lexus vehicles, and more. The award-winning spa offers countless services to ensure rejuvenation, and guests can also choose to wind down in two infinity spas, a heated swimming pool, or the fitness center. Pick your favorite among a room, suite, or house facing the ocean or mountains. This upscale, boutique hotel guarantees the best in luxury and relaxation while exploring Big Sur. While some people just pass through for the scenery, true nature lovers absolutely have to go hiking in Big Sur. With over 80 day hikes, there’s a hike for everyone. Some hikes are tougher, some will go through forests, and others to beaches, guaranteeing everyone can find a hike they love. Make sure to check the conditions before you go, but no matter when your trip, these are the best hikes in Big Sur. If you want see the most breathtaking waterfall in Big Sur make sure to hit the McWay Waterfall Trail. This easy hike will highlight the 80-feet McWay Falls. Only 0.64 miles long, you’ll get southern and northern views of the coast on this out-and-back hike. The is a great first hike for your time in Big Sur. If you’re only in Big Sur for a short time, Ewoldsen Trail is an ideal complement to the McWay Waterfall Trail because they start from the same parking area in Julia Pfeiffer Burns State Park. 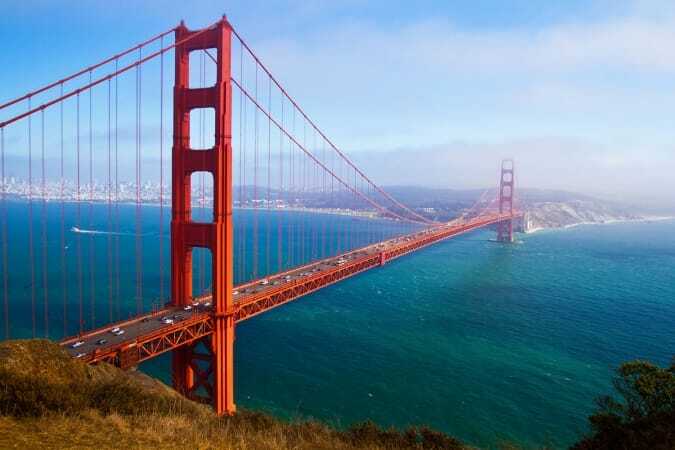 The trail ranges from easy to hard, and you’ll see everything from the redwood forest to canyon and ocean views. The 4.5-mile trail has an elevation gain of 1,600 feet, and whether you hike the whole loop or only some of it, you’ll still get some great views. The highly recommended Pfeiffer Falls & Valley View Trail is a moderate hike that can be done by those of all ages. The two-mile out-and-back trail takes you through the redwood forest to a rocky waterfall. For a bit more of a challenge, hike through gorgeous oak trees to the overlook bench for picturesque views of the Big Sur River Gorge. The views and well-maintained trail make it a fan favorite for all visitors. Lush creeks, historic limekilns, and a waterfall highlight the Limekiln Trails. This easy hike is about two-three miles and has several trails that branch out with lovely surprises. It’s an out-and-back hike, but you can also take a short walk to the coast to get some views of the scenic rocky beach. If you’re lucky, you may even spot some dolphins. For the perfect pleasant hike, try out Limekiln Trails. You’re guaranteed to get a good workout, with amazing coastal bluff views, if you hike the Andrew Molera Loop. 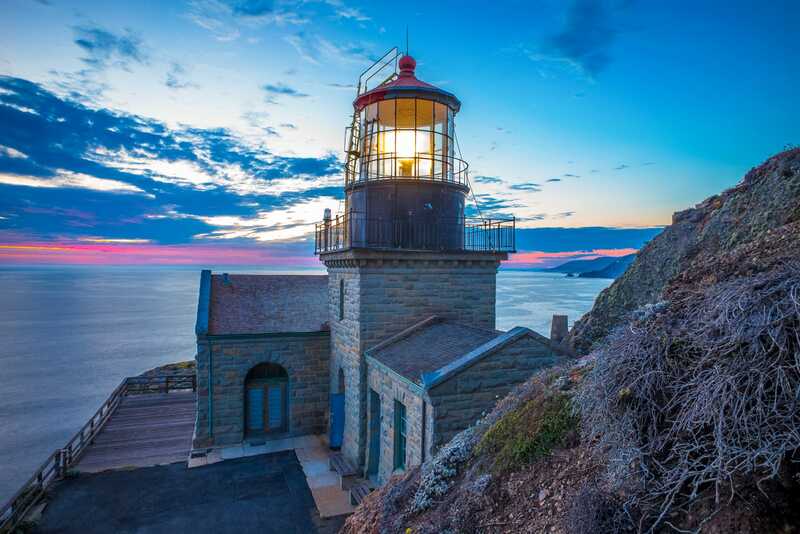 The 8.8-mile trail has an elevation gain of 1,100 feet, and its switchbacks will yield perfect views of Point Sur and its lighthouse. Giving you access to a number of remote beaches, if you’re up for a challenge then Andrew Molera Loop is the ideal hike. Boasting up to 10.2 miles of out-and-back trail, this strenuous hike has some tricky terrain. 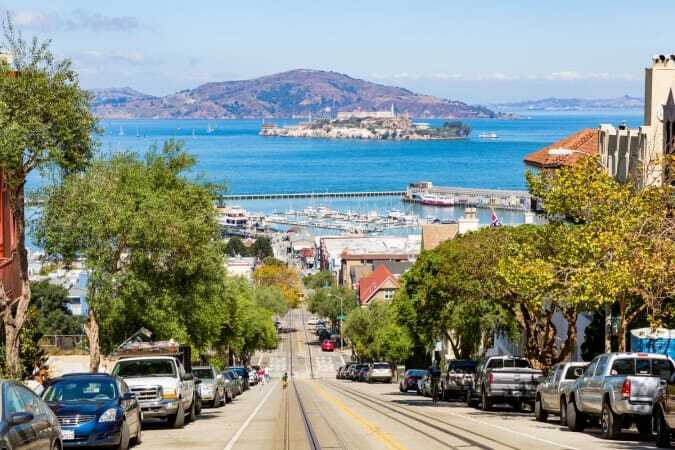 The first couple miles require a steep uphill trek alongside the mountains as you climb the coastal ridge, but eventually it will level out. With a total elevation gain around 1,800 feet, the hike may be hard on the lungs, but it’s easy on the eyes. Along the way is everything from mountain, ocean, and canyon views to gorgeous trees in the oak forest. If you’re looking for a fun, all-day workout, there’s no better place to go than Vicente Flat Trail. 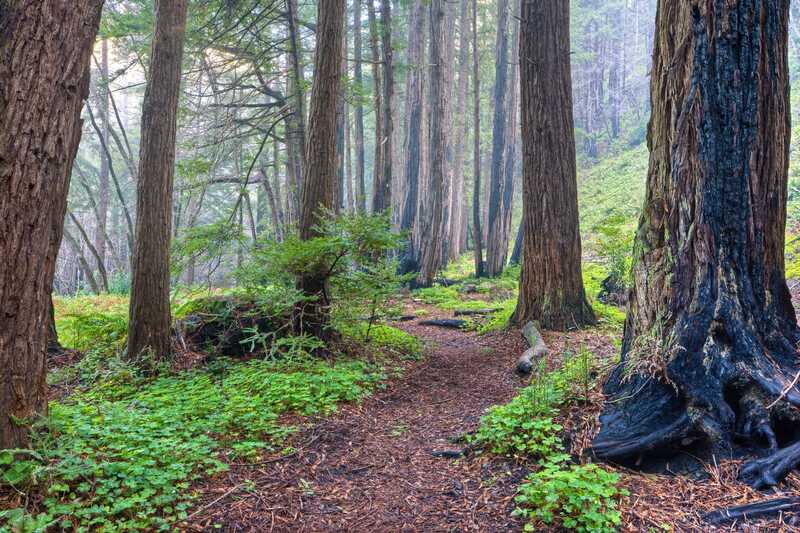 Redwood groves and streams decorate this rocky and steep trail that culminates at the spectacular Sykes Hot Springs. The elevation tops out around 1,700 feet, and you’ll arrive at the hot springs around mile marker 10. 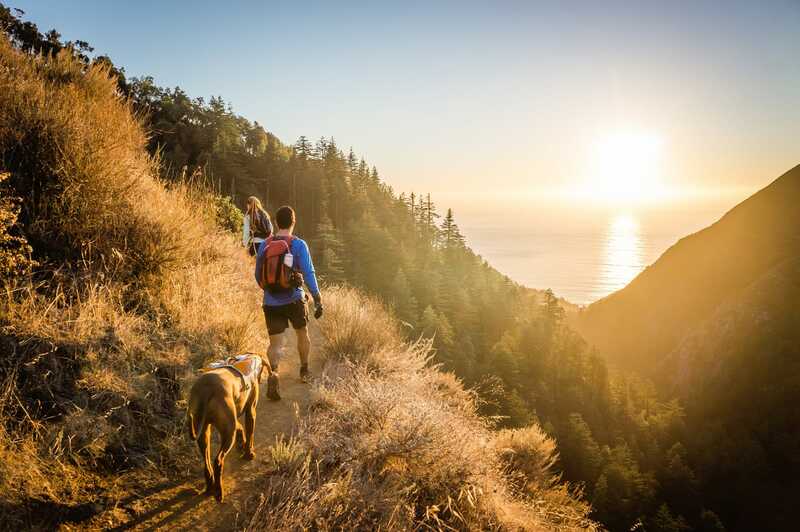 If you’re looking for a dog-friendly trail in Big Sur, then this is the one! Dogs are permitted as long as they are leashed. Although the hike is difficult, the trail and hot springs are very well-known and typically very crowded, so it’s best to take on Penn Ridge Trail during the week. You’ll have to work for your views on the Cruickshank Trail. The strenuous up-and-back hike starts hikers off among switchbacks before opening up to a mainly straight trail on the canyon over Villa Creek. Over the six-mile adventure tree and plant life as well as creek, ocean, and mountain views are on display. 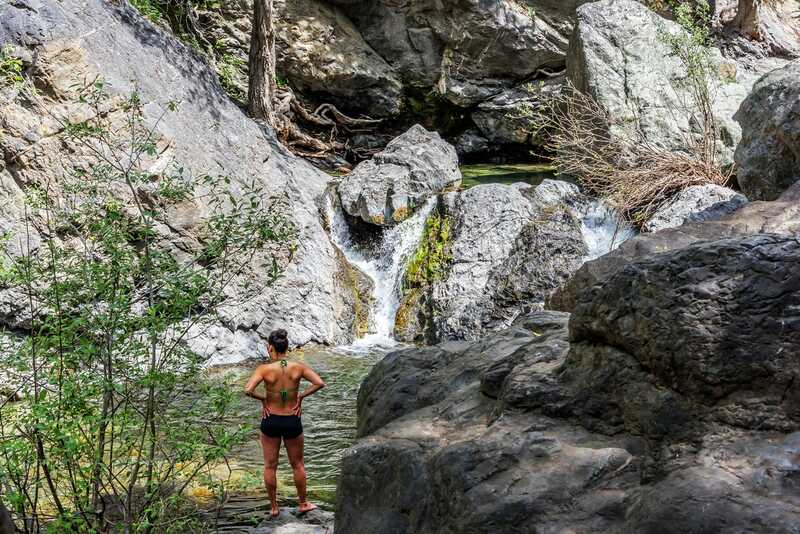 The true reward comes at the end where Villa Creek Camp is home to several small waterfalls and pools. The 1,200-foot elevation gain makes this hike tough, but well worth the effort. 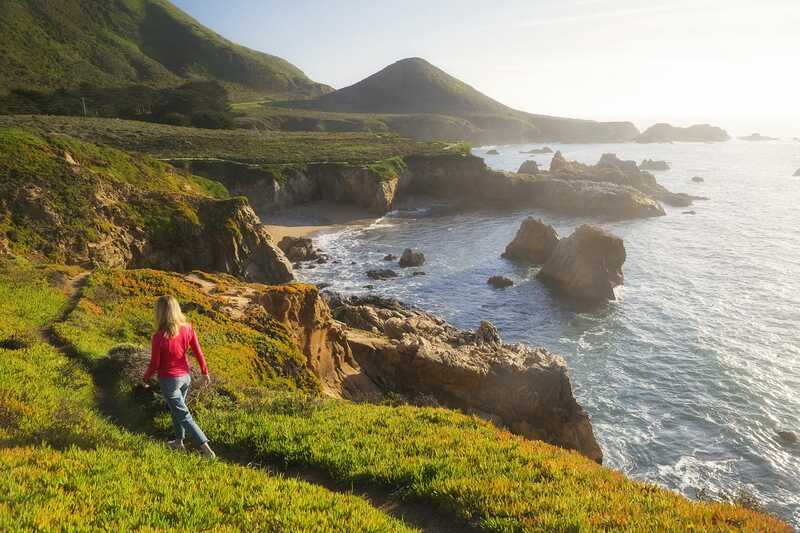 Even if you’re not into hiking in Big Sur, it still has tons to offer. Here are some of the best things to do when you’re camping in Big Sur. You can drive either direction, but we recommend driving from south to north for clearer skies and to be on the inside of the curves. The beauty of Big Sur’s scenery is unmatched and shouldn’t be missed. Scenic coastal horseback riding tours are offered in the historic Andrew Molera State Park. Big Sur’s beauty is undeniable as you ride through meadows, streams, secluded beaches, and redwood groves. Point Sur Lighthouse is a California State Historic Landmark and it’s on the National Register of Historic Places. It’s only open for guided tours on a first-come first-served basis. Make sure to bring a jacket as it can be much colder in the lighthouse than it is in town. The interesting history is fascinating for the whole family. This nonprofit arts center, bookstore, and performance venue was once home to author Henry Miller. Nowadays, the library is known to host a variety of community events including book signings and lectures. 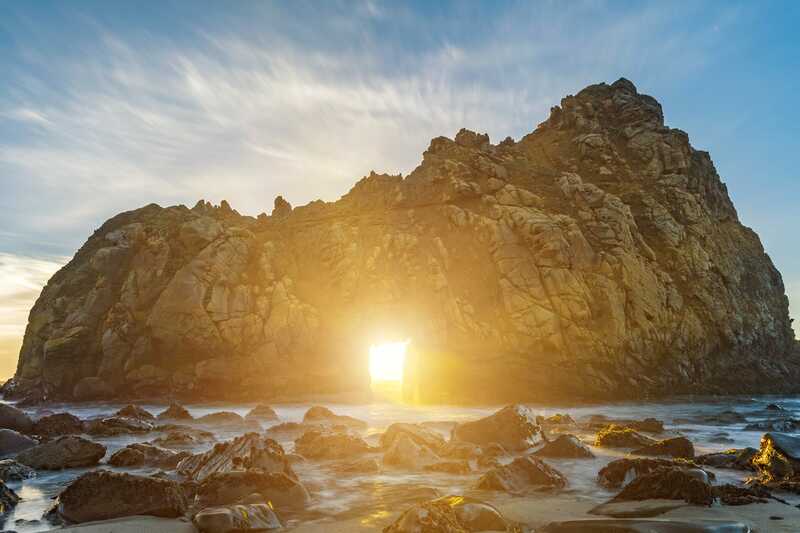 For the perfect pictures at sunset, head to Pfeiffer Beach. The west-facing beach is unspoiled and pretty unknown among tourists. The unique purple sand is loved by kids and adults alike. Pfeiffer Beach is the perfect place to relax, swim, or build a purple sand castle. There are a number of state parks in Big Sur where you can do countless things like check out wildlife, chill on the beach, and have a picnic. A great example is Julia Pfeiffer Burns State Park, which has everything from beautiful wildlife to tide pools to an 80-foot waterfall. State parks are the perfect place to enjoy nature without having to hike. Get your relaxation on and soak in a natural hot spring. The Esalen Hot Springs and the Hot Springs at the Tassajara Zen Center are both popular among visitors, and you don’t have to hike to them. Numerous art galleries and gift shops are found throughout Big Sur. Consider checking out Hawthorne Gallery, Heartbeat Gallery, or the Phoenix Shop at Nepenthe. A great way to feed your shopping habit is by taking home souvenirs from this unforgettable experience. Poison oak is almost everywhere in Big Sur, but it’s easy to avoid if you know what it looks like. The best advice we have for you is, “leaves of three, let them be”. There are a bunch of bugs in Big Sur, so make sure you’re prepared with bug spray. The mosquitos will love you almost as much as they love the wilderness, and don’t be surprised when you see everything from spiders and bees to scorpions and tarantulas. Rattlesnakes aren’t super common, but they are poisonous. Their color can make them very difficult to spot. They may be on a trail or hiding behind a rock, so be sure to watch your step and don’t put your hand anywhere you can’t see clearly. Unfortunately, sometimes ticks are unavoidable. They like to chill on the tips of tall grass and other plants then hop on you when you walk by. The best way to avoid them is by staying in the center of the trails and not walking through high grass. Even still, it’s best to check yourself for ticks every hour or so. Encounters with mountain lions in Big Sur are rare, but it is their natural habitat so seeing one isn’t out of the question. It’s important to always be aware of your surroundings, and if you do spot one, don’t startle it. Black bears are spotted occasionally, and typically the same rules apply for them as they do for mountain lions. Also, try to avoid hiking with foods that may attract bears. The last thing you want to do is be in the beautiful wilderness unprepared. Here’s our list of camping essentials to make sure you’re well-prepared to enjoy Big Sur. With countless stoves on the market, it’s most important to consider the type of stove and the weight. The increased efficiency and convenience of many camping stoves make it super simple to take your chef skills from home to Big Sur. Pots, pans, and utensils should be sufficient. Also make sure to pack plates, bowls, cups, and cutlery. Even though the weather in Big Sur is pretty great all year-round, temperatures can get very chilly at night. A three-season sleeping bag or one with a 20°F temperature rating should be perfect. Depending on your camping style, consider buying a larger tent than necessary to give you extra storage space. Also, make sure not to forget tent accessories – poles, tent pegs, mallet, ground tarp/tent carpet, rain fly, etc. Whether you choose a foam mat or inflatable pad, your sleeping pad should add comfort and insulation throughout the night. Make sure to invest in a good backpack, as it can make or break your trip to Big Sur. You’ll probably be wearing it for hours at a time, so make sure it’s comfortable, high quality, and can hold everything you need. Big Sur’s rainy season extends from autumn to spring, but even in the summer it’s still a good idea to bring a good quality jacket. Even though pretty much every cell phone has a flashlight, a headlamp will make it much easier to navigate through the darkness. Some camping flashlights even transform into lanterns, making them great for providing continued light. Cutting rope, slicing food, removing a splinter, etc. Pocket knives have countless uses and can really come in handy in the wilderness. Cut down on plastic and bring a reusable water bottle with you on your Big Sur camping trip. Accidents happen to even the most cautious hikers. It’s always good to have band-aids, antibiotic ointment, etc. on hand when exploring nature. Comfort and durability are key for all of the best hiking shoes. After walking around for hours, you don’t want your feet to be on fire. If you buy new hiking shoes before your trip, make sure you spend time breaking them in before you get to Big Sur. Improve your stability and give yourself additional support by bringing along trekking poles. Especially helpful for steep and rough terrain, your knees will appreciate them in the long run. Mosquitos and other bugs are all over Big Sur. The best proven bug sprays are high in picaridin, DEET, or oil of lemon eucalyptus. Some places in Big Sur have absolutely no cell service, and others have surprisingly good service. It’s best to keep your devices fully charged whenever possible, and a portable charger can make sure that happens. If you want to go backcountry camping in Big Sur and plan to build a campfire or use a stove or barbeque outside of a developed campground, picnic, or recreation area, you need a campfire permit. This free permit keeps you and the forest safe from possible fire damage. The best way to save money when you’re camping in Big Sur is by stocking up on food and supplies before you arrive. But if you’re looking to treat yourself and have some of the tastiest food in the area, these are the best places to eat in Big Sur. 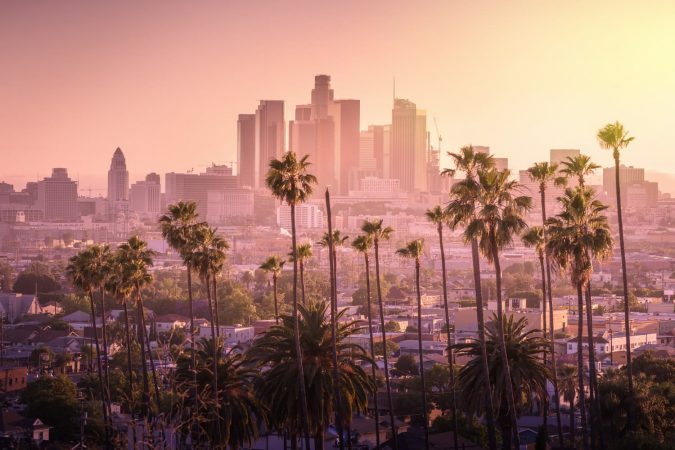 Bask in the quintessential California experience at Nepenthe. This cliffside restaurant offers dramatic views, delicious food, and a wine list with over 400 selections. Once you pair their famous roast chicken dinner or ambrosia burger with a glass of their fine wine, you’re guaranteed to want to come back for more. Sierra Mar epitomizes fine dining. If you’re a guest at the Post Ranch Inn you’ll get a free buffet breakfast, but if not then you should definitely make reservations ASAP for their lunch or dinner. With a three course lunch menu and a four course dinner menu, Chef Elizabeth Murray is sure to knock your socks off. Every evening four romantic candlelit rooms open up for dinner at Deetjen’s Restaurant. Dishes are simple yet hearty, and include everything from spicy seafood saffron paella to grilled grass-fed filet mignon. Chef Domingo Santamaria turns local and organic foods into masterpieces that set the new standard for delicious food. Comfort food is done the right way at Big Sur Bakery and Restaurant. Chill out in this rustic setting and enjoy everything from wood-fired pizza to fresh pastries. Before you leave you absolutely must try one of their scrumptious desserts – we recommend the flourless brownie with hot fudge or the lemon ice cream pie! This family-owned deli is a true gem. Not only are they reasonably priced, but their sandwiches are famous throughout Big Sur. If sandwiches aren’t your thing, they have a variety of other goodies available, including calzones, chicken, and salads. If you don’t want to spend an arm and a leg but still want delicious food, Big Sur Deli is the place for you. And there you have it… everything you need to know to have a successful and unforgettable Big Sur camping trip. 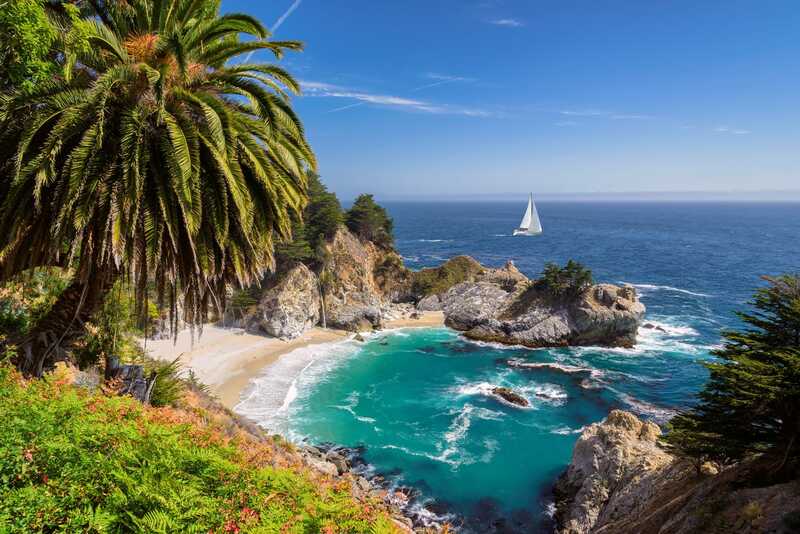 No matter what your travel style or personality, get ready to fall in love with Big Sur!